What Can I Expect From a Cochlear Implant? When looking at hearing rehabilitation, it’s vital to get the diagnosis right. At Ear Science Surgery, Professor Marcus Atlas and the Ear Science team will give your diagnosis the time and care it requires. After diagnosis, you will be introduced to different hearing options. These can include aids, implants and surgery. Hearing aids suit patients with mild to profound hearing loss. In a hearing aid, a microphone detects sound which is modulated (or fine-tuned) and then amplified. Different designs are suitable for different types of hearing loss, including behind-the-ear and in-the-ear devices, though all are small and discreet. Choosing the correct aid depends on type of hearing loss, lifestyle and occupation. The specialists at Ear Science Surgery have the expertise and experience to be able to direct you to the most appropriate hearing aid solution for your needs. Implantable hearing devices have now become mainstream treatments – in fact, surgery can often be carried out at a hospital in less than 24 hours. Most conductive hearing losses benefit from middle ear surgery, implants or bone conduction implants. Most mixed hearing losses can be improved by hearing aids or middle ear implants. Hearing losses confined to high frequencies require special combinations, depending on a variety of factors. 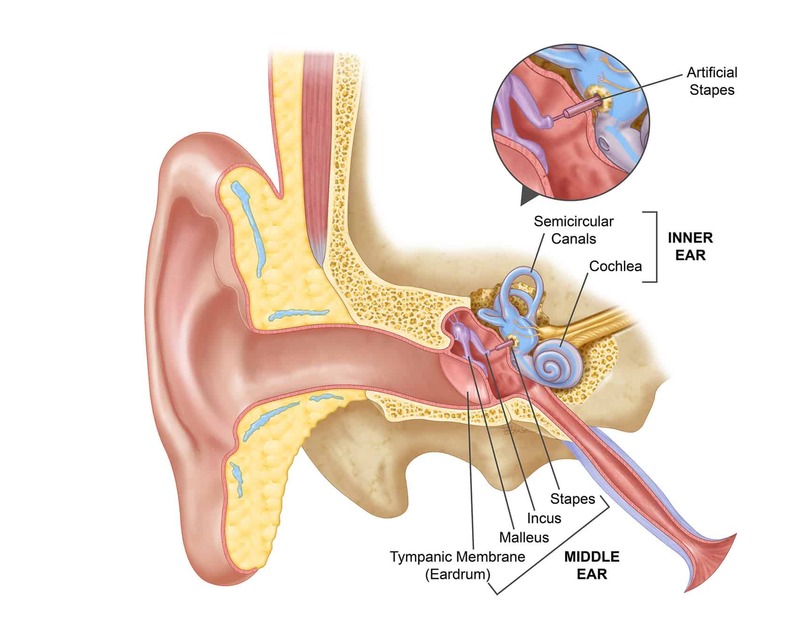 Middle ear implants convert a microphone signal into vibrations that stimulate the middle ear. Even high-pitched tones can be heard well. Middle ear implants are suitable for people with mild to moderate hearing loss who do not benefit from conventional hearing aids or cannot wear them due to medical reasons. In Australia, middle ear implants are available from MED-EL. A surgically implantable device inserted into the skull. The external sound processor is attached by an implanted bridging structure or magnetic connection. Sound is converted into vibrations that are transmitted by the to the skull and then heard by the cochlear or inner ear. Bone conduction devices do not require a hearing aid in the ear canal, so the sound processor can often be hidden in the hairline. If the hearing loss is in one ear, a bone conduction implant can also transmit sound from the non-hearing ear to the hearing ear. Most devices are similar to hearing aids and are compatible with assisted listening technologies, and in some cases, smartphones. A cochlear implant can restore hearing to people who do not benefit from a hearing aid. Unlike a hearing aid, it does not make sound louder. Instead, the device bypasses damaged parts of the auditory system and directly stimulates the hearing nerve, allowing individuals who are profoundly hearing impaired the ability to hear sound again – or in some cases – for the first time. An external device usually worn behind the ear with a speech processor, microphone, and battery. Cochlear implants can significantly improve quality of life and how you interpret speech. In many cases, results continue to improve for the 12 months after surgery. An ear specialist can perform implant surgery, though not all of them do. The implant team (otolaryngologist, audiologist, nurse, and others) will determine if a cochlear implant is right for the patient and review the expected results. Extensive hearing tests to find out how much the patient can hear with and without a hearing aid. Special X-rays are taken, usually CT or MRI scans, to evaluate the inner ear anatomy. A physical examination is required to find any potential problems with general anaesthesia. Cochlear implant surgery is usually performed under general anesthesia with a one night admission into hospital. 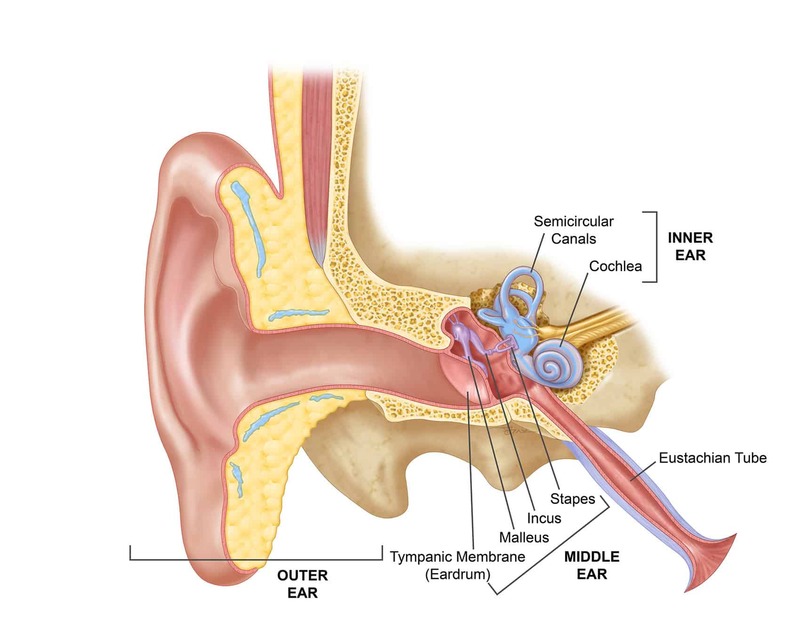 An incision is made behind the ear to open the mastoid bone leading to the middle ear space. 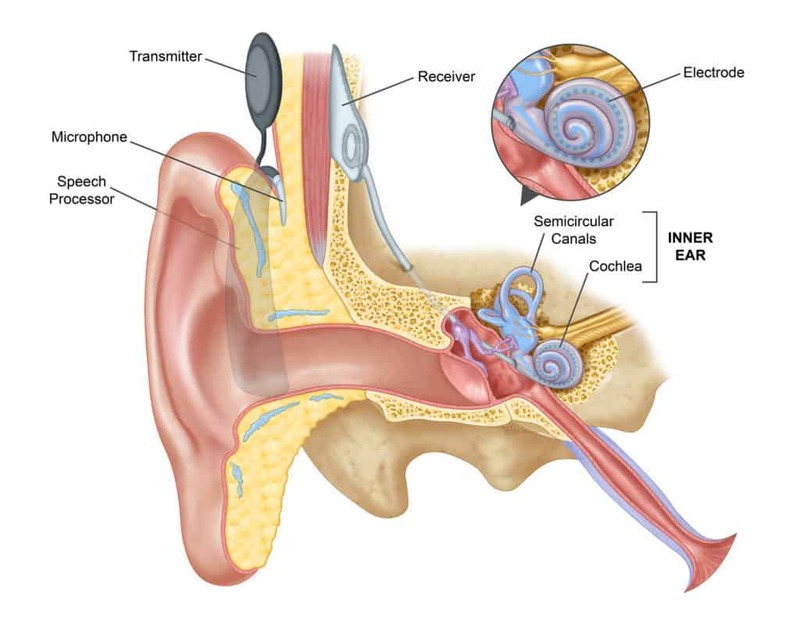 Once the middle ear space is exposed, an opening is made in the cochlea where the implant electrodes are inserted. The device is placed behind the ear under the skin. To ensure the site is sufficiently healed, the team will wait a few weeks after surgery to place the signal processor, microphone, and implant transmitter outside the ear and switch on the device. When the external device is being applied, the team will teach the patient how to listen to sound through the implant and how to care for it. Some patients may take longer to fit, requiring more training due to individual differences like age, how long the patient has been without sound, and more. The team will also schedule another appointment, which will be the first of regular checkups to readjust the speech processor as needed. While children require time to benefit from their cochlear implant (as the brain needs to learn to correctly interpret the electrical sound input), most adult patients notice an almost immediate improvement. The road to optimum results with a cochlear implant can be several months long, so patience and commitment is essential. It’s also important to remember that cochlear implants do not restore normal hearing, but with hard work and patience during rehabilitation, there is a good chance of restoring some hearing. The Australian Therapeutic Goods Administration (TGA) regulates cochlear implant devices for both adults and children, approving them only after thorough investigation. Whether insurance can pay for the procedure. Rest assured that all of this will be explained to you in detail by our team when the time comes. Professor Atlas has an international reputation in cochlear implant surgery. He has carried out one of the largest personal series of cochlear implantation which includes surgery both at St Vincent’s Hospital in Sydney and at Ear Science Institute Australia in Perth. He regularly convenes teaching courses on cochlear implantation attracting surgeons from around the world. The results of cochlear implantation surgery have been published in international literature and represent innovative new techniques and use of cochlear implants. Impact of cochlear implantation and cognitive function of older adults. Otol Neurotol. 2017 Sep;38(8):e289-e295. Simultaneous cochlear implantation and labyrinthectomy for advanced Ménière’s disease. J Laryngol Otol. 2016 Feb;130(2):204-6. Quality standards for bone conduction implants. Acta Otolaryngol. 2015 Jul 29:1-9. Psychophysical Map Stability in Bilateral Sequential Cochlear Implantation: Comparing Current Audiology Methods to a New Statistical Definition. Ear Hear. 2015 Feb 21. Hearing Preservation Surgery for Cochlear Implantation: A Meta-analysis. Otol Neurotol. 2014 Dec;35(10):e256-69. Standards of practice in the field of hearing implants. Cochlear Implants Int. 2013 Jun;14 Suppl 2:1-5.